fight for net neutrality now. 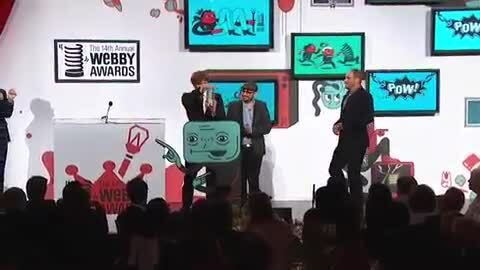 The Webby Awards is thrilled to honor OK Go with a Special Achievement Award. With their groundbreaking videos for “A Million Ways” “Here It Goes Again” and “This Too Shall Pass,” the band continuously demonstrates unparalleled web-savviness, artistic vision and genius approach to the viral video. Using the Internet both as creative inspiration and tool of distribution, OK Go continues to set and re-raise the bar for modern music.